The Belmead home sale price per square foot has been pretty close to the Edmonton average for 2012, so far in 2013 Belmead has slipped lower. 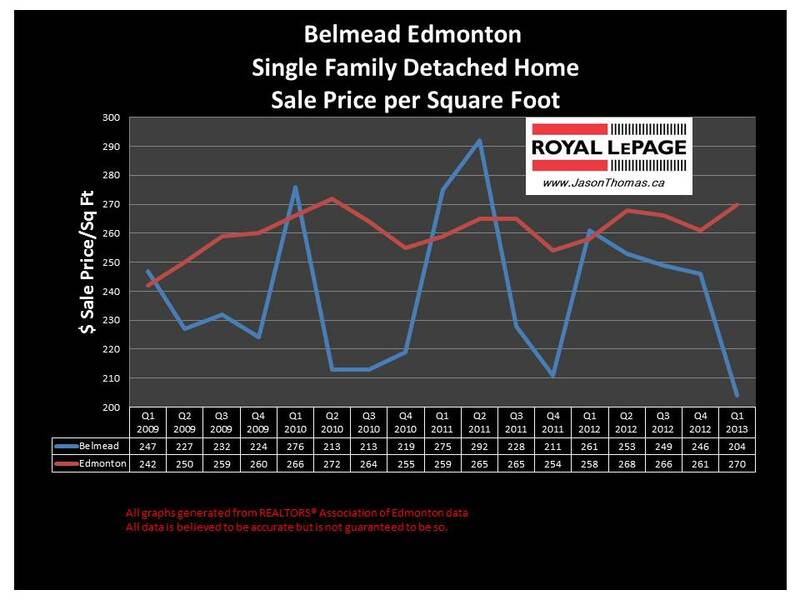 The interesting thing about the Belmead market is it tends to bottom out for one or two quarters and then bounces back close or over the Edmonton average selling price per square foot. The highest sale price for a house in Belmead in the last 12 months was $477,900. The average time to sell a home in Belmead in 2013 has been 63 days. That is slower than the Edmonton average days on market in 2013 of 47 days.